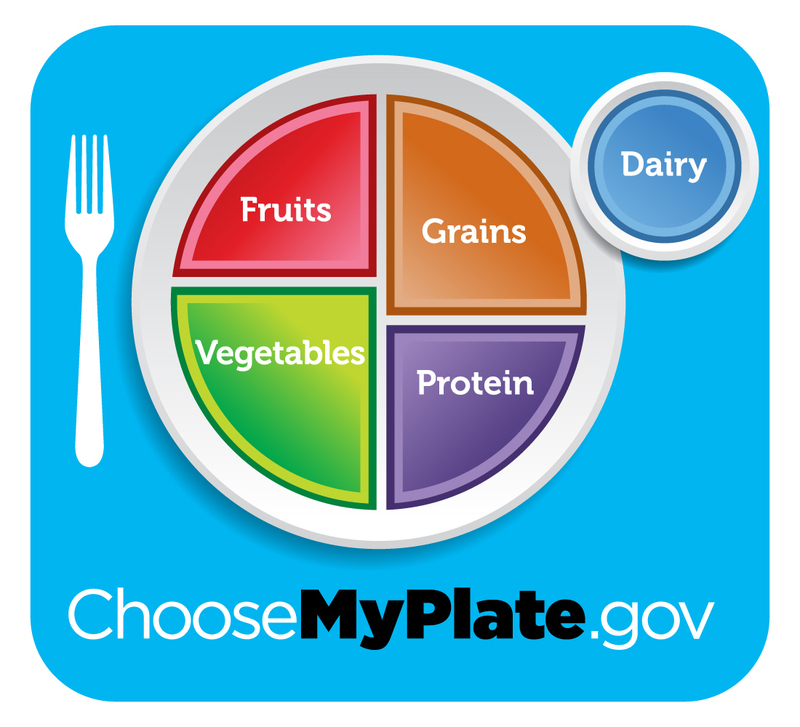 MyPlate is a new generation icon with the intent to prompt consumers to think about building a healthy plate at meal times and to seek more information to help them do that by going to ChooseMyPlate.gov. MyPlate illustrates the five food groups that are the building blocks for a healthy diet: fruit, vegetable, grains, protein foods, and dairy groups. 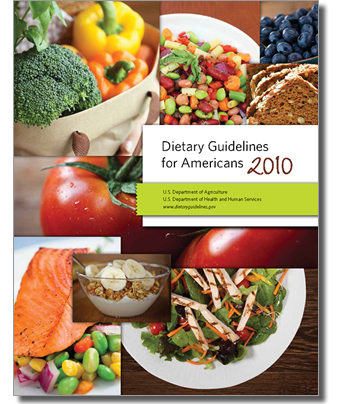 The Dietary Guidelines for Americans, produced by HHS and the U.S. Department of Agriculture every five years, provides evidence-based nutrition information and advice to help Americans make smart choices about food and physical activity so they can live healthier lives. The Guidelines note the important role that physical activity and healthy eating habits can play in preventing weight gain, reducing weight, and reducing risk for chronic diseases, and advise that people eat the recommended amount of calories for each life stage: childhood, adolescence, adulthood, pregnancy and breastfeeding, and older age.